6 BIG REASONS TO VISIT ALL THE ANIME AT MCM LONDON COMIC CON – OCTOBER 2017. Your Name, 5th Anniversary of All The Anime Celebrations, Official Merchandise and much more!. We’re just under two weeks away from the MCM London Comic Con event at the Excel Centre and once again AllTheAnime (aka Anime Limited) will be there in full force to remind you why it’s a great time to be an anime fan in the United Kingdom. It’s a very special event for us as we will be kicking off our 5th birthday celebrations over the course of the weekend, we’ve got some titles available to add to your collection ahead of their general release dates – including YOUR NAME, your chance to to buy some official merchandise, and there’s an Anime Guest of Honour too! What more could you want as an anime fan! No we don’t mean your actual birth name, though we’re sure it’s really cool, we mean the global smash hit anime that’s broken all kinds of records directed by Makoto Shinkai, Your Name. As revealed by our friends at MCM Comic Con last week, we’re delighted to confirm we’ll be celebrating the release of the film on Blu-ray and DVD ahead of its official release on 6th November by having limited copies available to purchase from our booth (stand #2521) at the event (strictly while stock lasts). We’ll have the gorgeous Ltd Collector’s Edition Steelbook version, the standard Blu-ray and standard DVD versions available! And this will be your first opportunity to add this film to your anime collection! Be sure to stop by our stall to be amongst the first people to own the film in the United Kingdom and have it sitting proudly in your anime collection. But that’s not all! As you’ll find out in Reason 3 (spoiler) we’re going to have official merchandise of Your Name available to purchase from our stall! 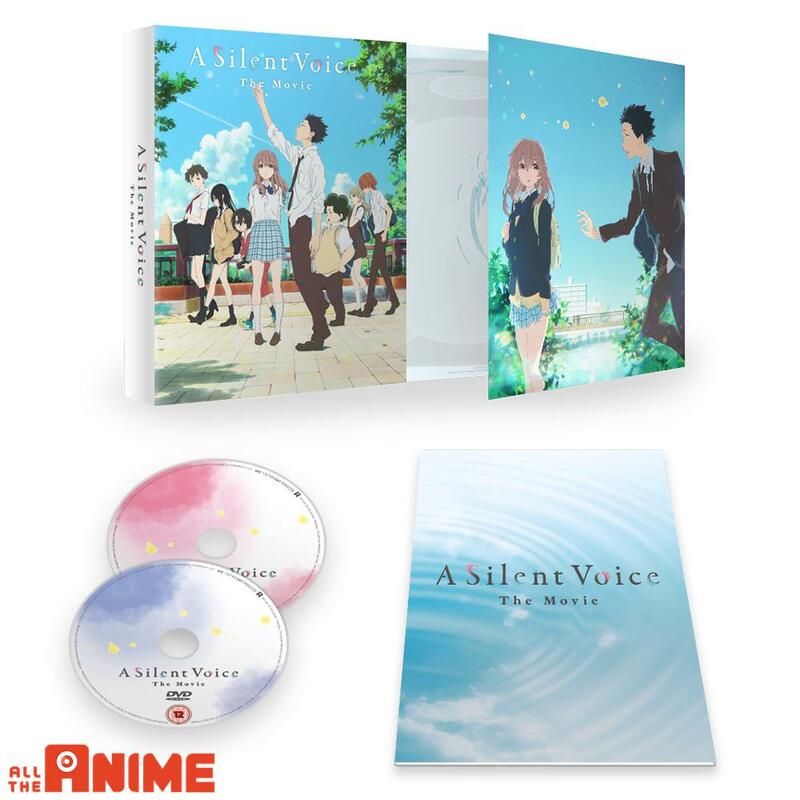 We will have a section dedicated to offering you the chance to purchase anime merchandise which will include select items relating to Your Name. Scroll on down to REASON 3 below for more info. As we mentioned at the top of this post, we’re kicking off the 5th birthday celebration of All The Anime at MCM London Comic Con. There have been many highs and let’s call a spade a spade, some pretty low lows, but what’s most important to us is that you guys, the fans, have stuck with us through thick and thin and have helped us to evolve into a company that’s proud to be more than just another distributor. So we want to give you the chance to leave a long lasting message with us at the show. We’re going to have an exhibition at our stand (booth no. #2521) highlighting the first five years for All The Anime. There will be a timeline of many things we’ve achieved and your chance to look back at some of our tentpole titles. But, you also will be able leave your mark on All The Anime history as we will have a photo space where you can have your picture taken, a digital copy will be sent to you AND a physical copy will be printed out that you can then leave on our 5th Anniversary Wall with a birthday message included! It’s our way of wanting to recognise your support the past five years and make this the first big step into the next five years. As we mentioned in SECTION 1, we’re delighted to announce that we will be offering attendees the opportunity to purchase official anime merchandise from our stand all weekend (while stock lasts). There will be a dedicated section where you can purchase merchandise exclusively at our stand (booth no. #2521) of the anime Your Name. We’ll have t-shirts, hoodies, placemats, notebooks and even posters (framed and unframed!) that you take home knowing you’ve supported the film’s creators. But wait, there’s more merchandise!!!!! As we mentioned above in SECTION 2, we’re kicking off our 5th birthday celebrations during MCM London Comic Con and we’re delighted to say we’ll be offering, for the first-time ever, the opportunity to own a piece official All The Anime merchandise! We’ll have a specially designed 5th Anniversary themed t-shirt and mug that will feature our Red Panda mascot. You can see the actual design as worn by our glamorous model [name redacted 😉 ]. It’s the first t-shirt design available to the public and as it’s a 5th Anniversary themed shirt, but it won’t be available forever. 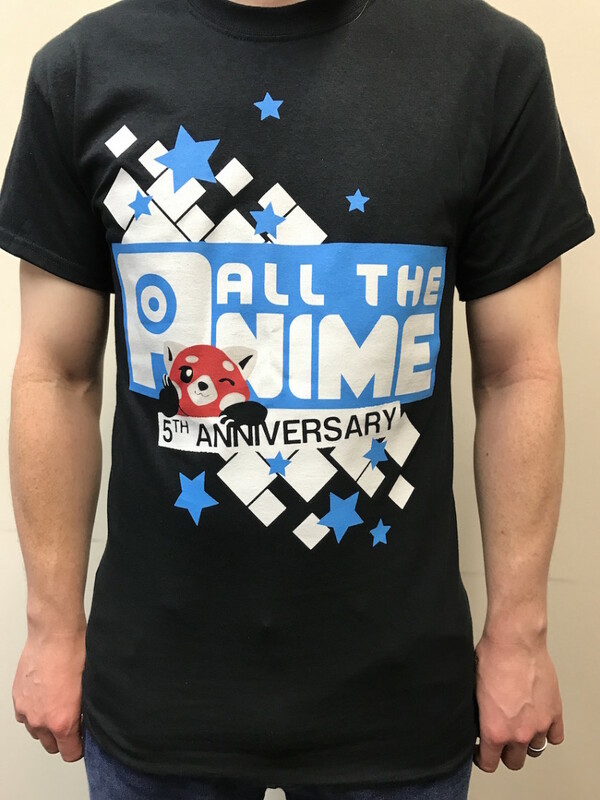 Offering more AllTheAnime themed shirts is something we’d love to be able to do in the future – we know a lot of you have been envious of our staff t-shirts over the years – so we hope some of you will want to add this to your wardrobe. This 5th Anniversary shirt design will be available in sizes small – XXL, but strictly while stock lasts at the event. Oh, and we might have very limited copies of Eureka Seven Ultimate Edition available to purchase too! Though it’s worth noting all of these noted above are subject to the productions gods wanting to play ball and everything working out! So, as you can see we have LOADS for you to add to your collection throughout the weekend. As has become tradition we will be using the landmark timestamp of an MCM London Comic Con to share some exciting announcements with you however in a change from the norm these will not all be made across the weekend. We will be sharing various bit of news with you throughout the week leading up to the event – some might of it might even impact our activity at the event itself 😉 – so make sure you keep an eye on our channels as we’ll be spreading out exciting news tidbits for you across the week as a whole. Of course there will be an All The Anime panel as well – details incl. day & time are still being locked down so once know more we’ll be sure to make it known. As you might have seen over the past weekend, there will be an Anime Guest of Honour in the form of four people from the world famous Studio Trigger (Kill la Kill) at MCM London Comic Con at the end of the month, all related to the fan-favourite series Little Witch Academia. Yoh Yoshinari, director of the series, will be coming to London along with two producers of the series Naoko Tsutsumi and Katsuhiro Takei, and Producer of the upcoming video game Little Witch Academia: Chamber of Time, Yosuke Futami, who has also worked on past Sword Art Online games. We’re delighted to be working with our friends at Bandai Namco Entertainment to help promote the upcoming release of the game Little Witch Academia: Chamber of Time. 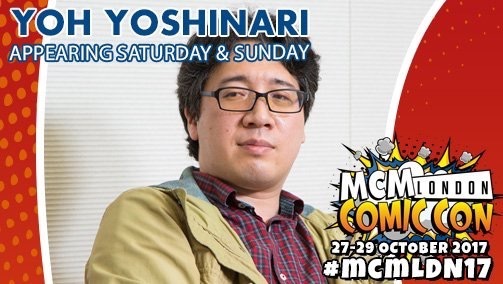 At this stage we can confirm there will be an Anime Guest of Honour Panel (date/time to be confirmed – but expect it to be on the Saturday of the event) and signing sessions with all four guests in the MCM Signing Area as well. Don’t forget that you can catch the series of Little Witch Academia, which the game is based on, right now on Netflix UK. And that wraps up everything you need to know about our activity at MCM London Comic Con – barring the panel and signing session times which we’ll be sure to update accordingly! We look forward to seeing you at the show.